The first local case of dengue has been confirmed, with a Mareeba woman becoming the first instance of the mosquito-borne disease in the Tropical North since February 2017. Acting Director of Tropical Public Health Services (Cairns) Dr Roscoe Taylor said the Dengue Action Response Team carried out mosquito control measures in the area where the case was confirmed. The dengue-transmitting Aedes aegypti mosquito was discovered in the area. 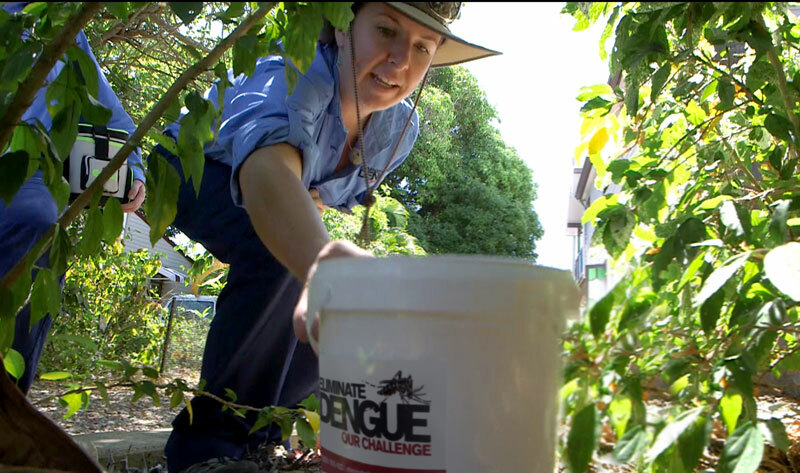 Dr Taylor noted that Mareeba falls outside the "Eliminate Dengue" program that has proven so successful in places like Cairns, with researchers releasing the Wolbachia bacteria into mosquito populations to effectively prevent the transmission of dengue. “While we are now in the dry season, the heavy, prolonged wet season has resulted in higher numbers of mosquitoes being around,” Dr Taylor said. “Everyone needs to do their part and take action to eliminate mosquito breeding sites on their properties such as plant pot bases holding water, and to protect themselves from mosquito bites, especially young children and babies. “People should protect themselves by using a long-acting surface spray (cockroach surface spray) in dark areas underneath furniture inside their homes." Dengue symptoms are fever with severe headaches, muscle and joint pains, and could also include a rash, vomiting and diarrhoea. Anyone with dengue-like symptoms should see a doctor immediately to be tested for dengue.